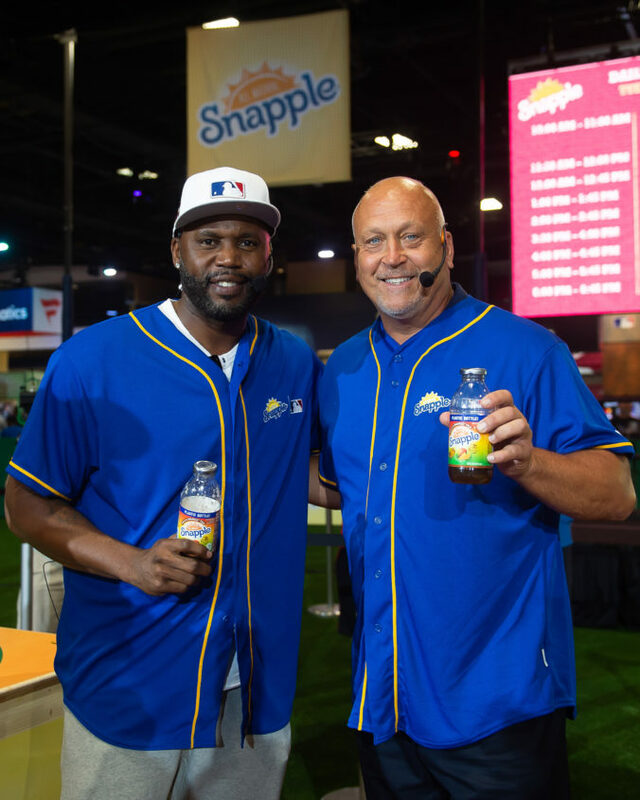 Hall of Famer Cal Ripken Jr. and World Series Champion Cliff Floyd faced off in the first-ever Snapple All-Star Bottle Flip Challenge at MLB FanFest. Cliff Floyd was crowned “Flip for Flavor” champion. 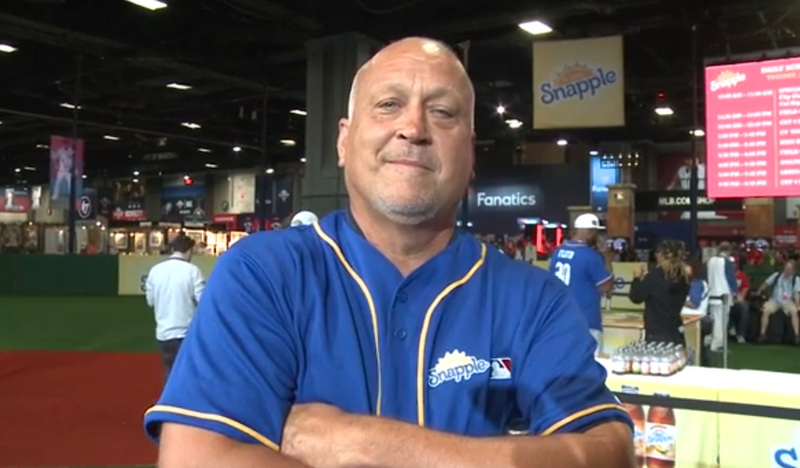 Snapple hosted its first-ever All-Star Bottle Flip Challenge at FanFest with former MLB All-Stars Cal Ripken Jr. and Cliff Floyd. The players accurately flipped Snapple bottles onto fruit bases in the battle to be crowned “Flip for Flavor” champion. Former MLB All-Stars Cal Ripken Jr. and Cliff Floyd battled for the title of “Flip for Flavor” champion at Snapple’s first-ever All-Star Bottle Flip Challenge at FanFest where the players accurately flipped Snapple bottles onto fruit bases resembling a baseball diamond on Tuesday, July 17 in Washington. Cliff Floyd won Snapple’s first-ever All-Star Bottle Flip Challenge at MLB FanFest where he competed against Cal Ripken Jr. for the prestigious “Flip for Flavor” champion title on Tuesday, July 17 in Washington. Brent Chism from Snapple Brand Marketing presents Cliff Floyd with the “Flip for Flavor” trophy after winning the first-ever Snapple All-Star Bottle Flip Challenge at MLB FanFest. Cliff Floyd won after accurately flipping bottles onto fruit bases resembling a baseball diamond on Tuesday, July 17 in Washington.